Thanks to advances in technology, the way we work in 2018 is much different to how we worked even 10 or 20 years ago. Like it or not, the modern workplace has increasingly become something we’re all connected to 24/7 through our smart phones, tablets and laptops. Add the rise of social media, and many people spend their day receiving a mix of personal and professional notifications across a range of platforms: email, SMS, Facebook, Twitter, Linkedin, Instagram and so on. In an age where more information seems to flow than ever before, it can actually be to the detriment of good communications. Information overload is a real thing: many people are overwhelmed by the amount of information they see every day they simply don’t have the time or ability to read it all. The CEO and chief analyst of Basex (a knowledge economy research firm), Jonathan Spira – research has found the effect of information overload has a hefty price tag to the tune of around $900 billion each year in lowered employee productivity and reduced innovation. And that’s a conservative estimate – the real cost could be as high as $1 trillion. Spira also claimed that workers are spending up to 50 per cent of their day managing information. What does this mean for organizations that want to keep their employees informed and need to communicate important information necessary for their company to function smoothly? It means that it is time to think outside the box. DeskAlerts. This is a simple and easy solution that will improve your internal communication efforts from the very first time you use it. 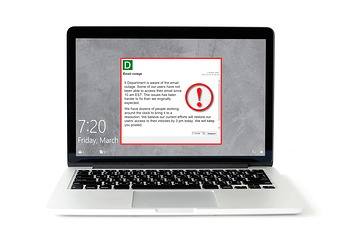 DeskAlerts will help you to cut through all the digital noise and clutter that’s clogging up your employees’ lives. No matter what software application they are using, or what computer task they are engaged in, any messages you send to them via DeskAlerts will appear on their screens in the form of a pop-up notification. The pop-up window cannot be ignored or minimized and requires a user response. Notifications will even appear if an employees’ screen is on standby or screensaver mode. DeskAlerts has a statistics module that lets you see who has seen your messages and who hasn’t – these metrics are in real time and lets you have a good handle on the reach of your communications efforts. It is primarily a one-way communication channel, however you can also use it to create quick surveys or polls when you need to get information quickly from employees. Many organizations around the world have improved their internal communications using DeskAlerts. This has ranged from using it to send notifications in an emergency through to sending important corporate announcements, to delivering training to employees via video content. 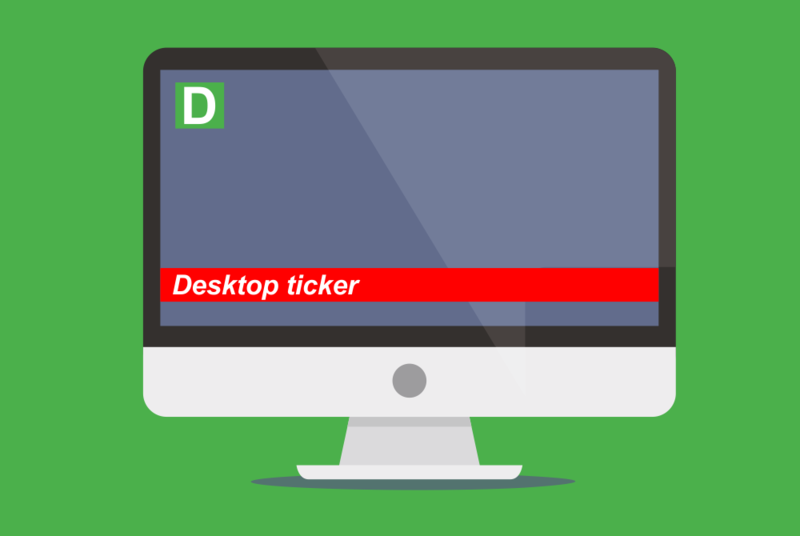 DeskAlerts is a versatile solution to cut through the digital noise of today’s world. Can your organization afford to be without it?